Haihaisoft DRM-X 4.0 introduces protection of image files. It can encrypt and protect images includes: bmp, gif, png, jpg, jpeg, svg. Apply DRM (Digital Rights Management) controls and track how images are accessed and distributed in web pages or as images files. Protect your image files with Haihaisoft DRM-X 4.0 and gain insight into how files are accessed, used, and distributed. Using DRM-X 4.0 Xvast Packager, encrypt your copyrighted, confidential, or revenue earning images, and apply DRM-X 4.0 rights controls. Prevent copying and printing, add watermarks, whether online or offline. You can also revoke license that delivered in your DRM-X 4.0 account. For example, if your user ask refund, you can revoke license, so user cannot access your protected image any more. You can distribute them securely in your website or upload them in file sharing platform. With Xvast Packager in your DRM-X 4.0 account, you can easily batch encrypt images with web pages and other support files together, and apply DRM controls. Disable printing, copying of images. Customize watermarks with user’s identity. Multiple watermarks are tiled across the web page. 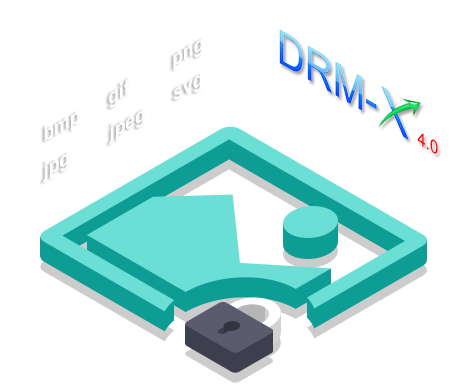 Unlike traditional web protected pictures, with DRM-X 4.0 encryption, you do not need to generate images with different watermarks for each user. You only need a protected file, even if you have millions of different users, when the user opens the protected picture, it also show a different dynamic digital watermark. The watermark contains user identification information. It can effectively suppress piracy and protect your picture security. Databases and servers like MySQL or SQL Server. Website developed with PHP, ASP.net, and JAVA. Content management systems like Joomla, Drupal and WordPress. Learning management systems like Moodle.